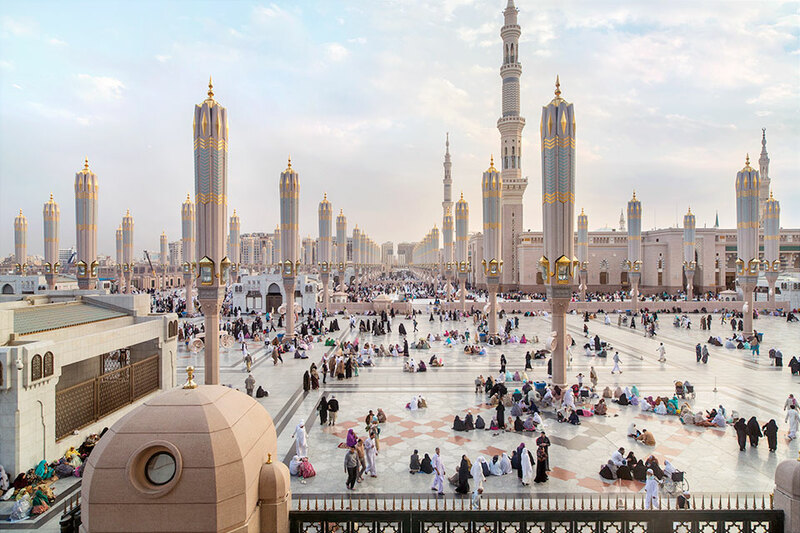 Al-Madinah al-Munawwarah, in the Hijaz region of western Saudi Arabia, is the second holiest city in Islam after Makkah, and burial place of the Islamic prophet Muhammad. Entrance to the centre of Madinah is only granted to non-Muslims in exceptional circumstances. 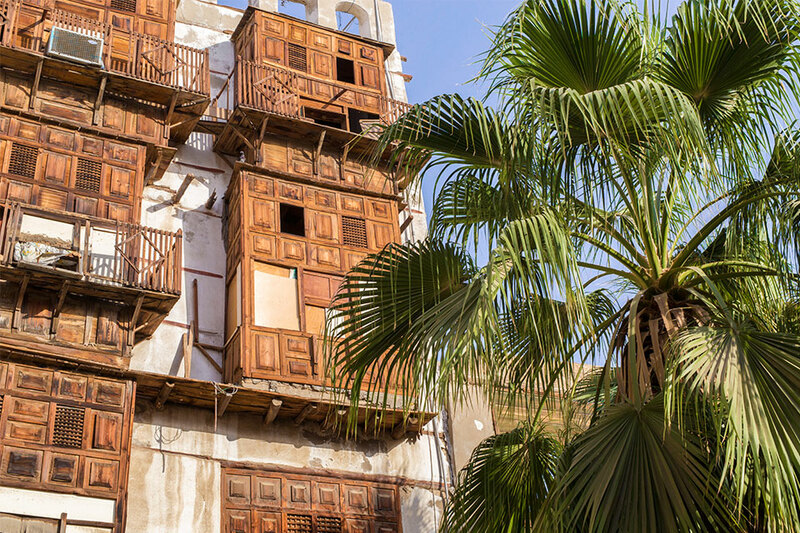 Al-Balad is the historic centre of Jeddah, the second largest city in Saudi Arabia, known as 'Bride of the Red Sea'. For centuries Jeddah has been the port of entry for pilgrims making the Hajj pilgrimage to Makkah, a few hours inland from Jeddah. Najran occupies a strategic position on the modern border of Saudi Arabia and Yemen. 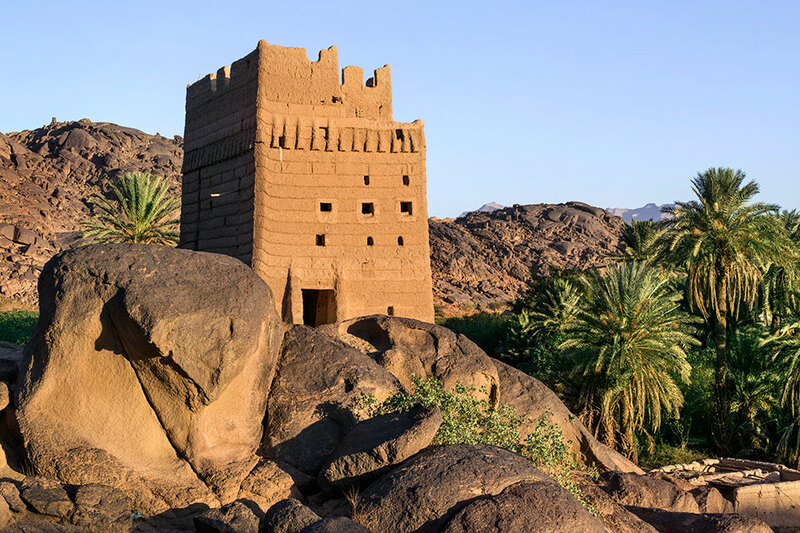 Nestled between the rugged mountains of Asir to the west and the emptiness of the Rub' al Khali desert to its east, the town sits in a green and fertile oasis. 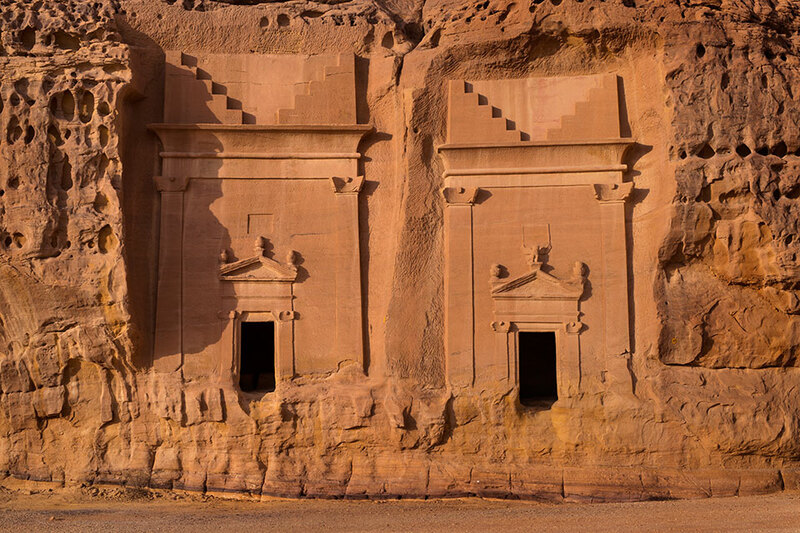 Founded in 1446-7, Ad-Dir'iyah served as the capital of the first Saudi State from 1744 to 1818. In 1744, Ibn Saud, emir of Ad-Dir'iyah, took in a fugitive religious scholar named Muhammad ibn Abd al-Wahhab, and what became known as the first Saudi state was born. 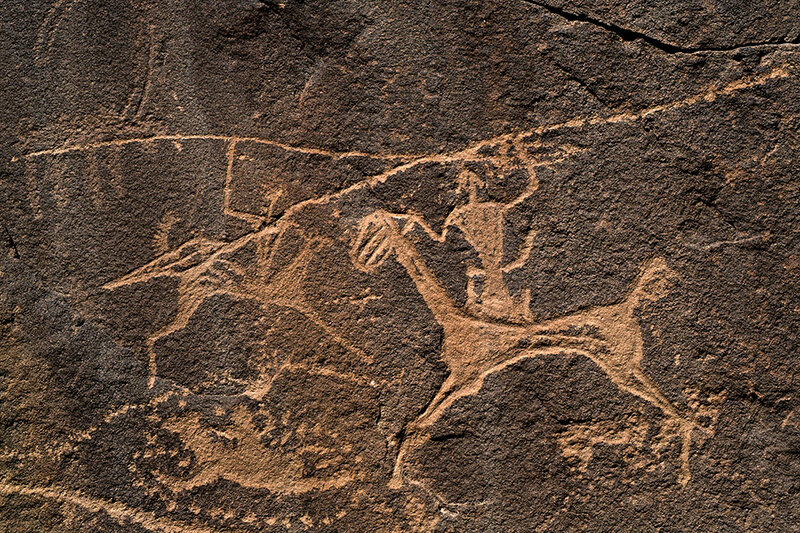 Al-Bahah is a region in the south of Saudi Arabia. 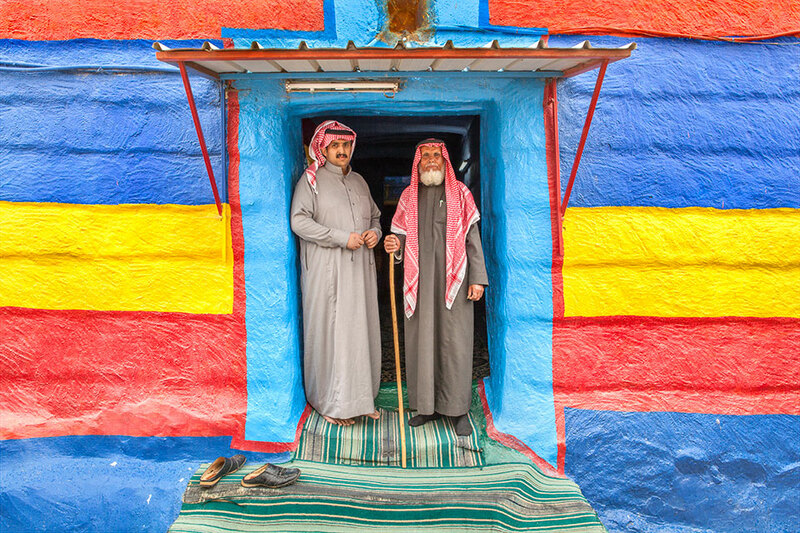 Most of its inhabitants are from the Ghamidi and Zahrani tribes, which trace their origin to the pre-Islamic state of Sheba. To the west is the Tihama coastal plain of the Red Sea, and to the east are the al-Sarawat mountains. 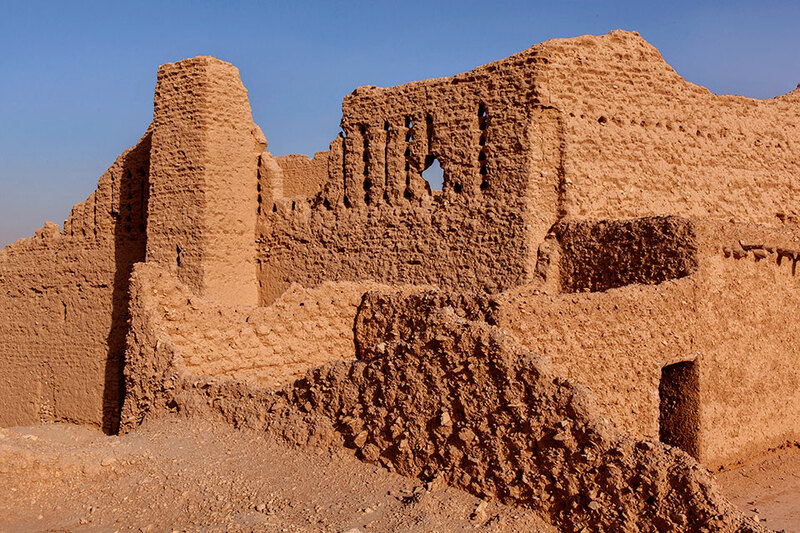 Tayma is a large oasis on the western edge of the al Nafud desert, the second of Arabia’s great sand deserts. It became an important stopping place for caravans on the incense route. 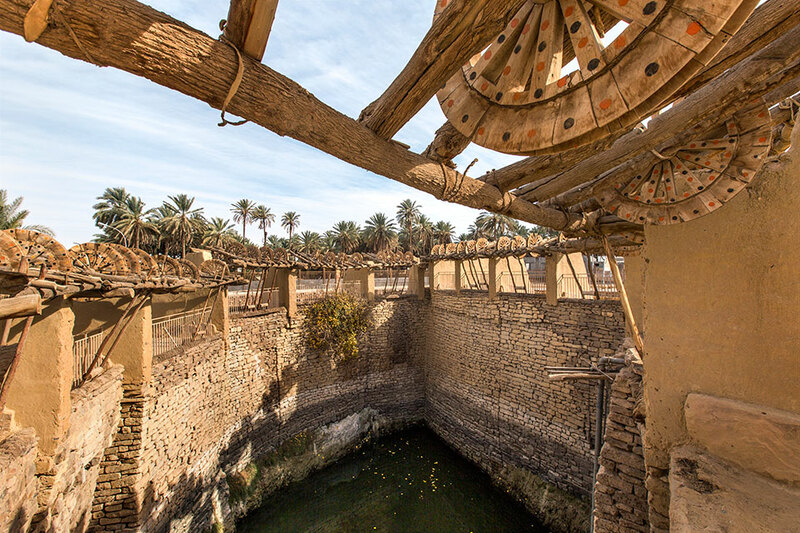 The Bir Haddaj well is one of the largest and oldest wells in the Arabian peninsula.